I have been DYING to start this project! Well, I’ve already started the project, I’m just now getting 20 seconds to post about it. Here’s the deal.. Every day, I am going to @ or # a company or person that I have interaction with. Whether I buy a product, try a new restaurant, use customer service or just have an interaction. I’m curious to see WHO is listening. As a marketer, I think it’s a good lesson. For a company out there selling products or services – it’s a CRITICAL lesson. 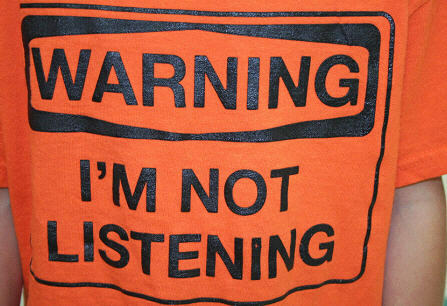 Are you listening to your customers? Are you hearing the good, bad and ugly? Are you responding to said good, bad and ugly? For fun – if you actually respond back to me, I’ll make a video testimonial about your company and post that, too! So, companies – listen up! Twin City SAM is on a mission and nothing stands between us and a mission! This entry was posted in customer service, customers, greensboro, marketing, nc, social marketing, twitter and tagged companies, customer service, customers, marketing, twitter, Winston Salem NC. Bookmark the permalink.